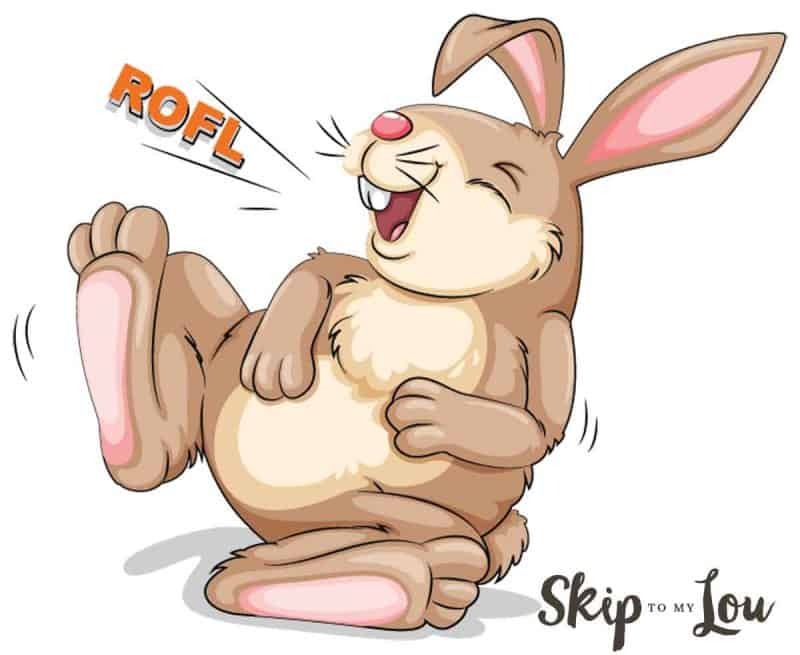 Try these funny Easter Jokes for a good laugh. Riding in the car or waiting for dinner can be a great time to share a laugh with your kids. I never ever can remember a good joke so I wrote them down for us to use! After you go through this list of jokes try these kids jokes. They are hilarious! 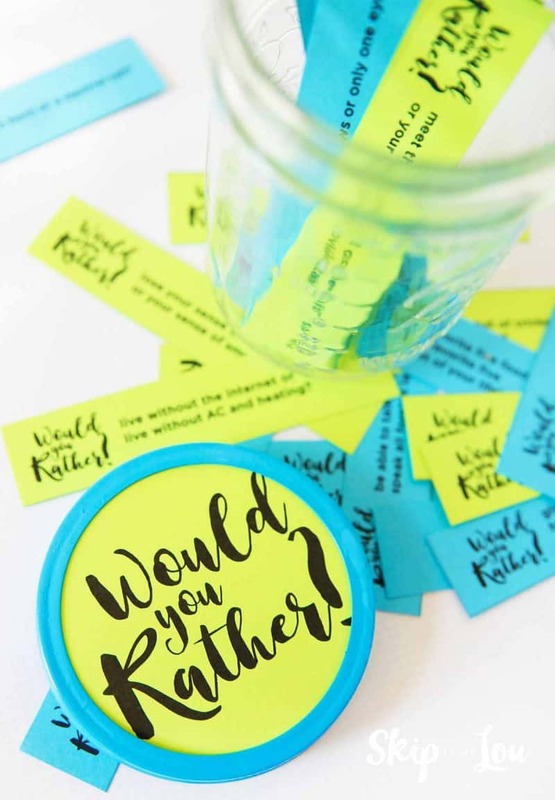 Would you rather questions are a fun way to get kids talking! These Easter jokes are sure to get your kids laughing. Where does a bunny go if you give it a pair of socks? What do you call a forgetful rabbit? Because they have four rabbit’s feet! What do you call ten rabbits marching backward? How do you know that carrots are good for your eyes? How does the Easter Bunny dry his fur? Where does the Easter Bunny get the eggs from? Why can’t a bunny’s nose be 12 inches long? Why Couldn’t the Easter Egg Family Watch Cable? Because their TV was scrambled! Because he was having a bad hare day! How does a rabbit make gold soup? What is the Easter Bunny’s favorite dance? Only one – after that it’s not empty anymore! What do you call a bunny who tells jokes? A funny bunny! Here are a few more Easter Jokes to crack you up! Sherwood like to have Easter candy. Want to print these funny Easter jokes out to share? Just hit the button and download for free! I hope you love these Easter bunny jokes! Looking for more laughs play this Would You Rather Game. Do you have a favorite Easter joke? Please be sure to share in the comments. Can't printout ....Easter Joke.....sure prints out the add those.... the print on the actual jokes won't print.....just shadows... not printer problems.... like I said the ads show up fine! Wanted to take them with me tonight and can't get it to print out so I can read it! I spent much time on this! Copy and paste into a word doc. It worked for me. Ann I added a free printable download. I hope this helps!